I don’t know why I have waited so long to blog this session…or so many others lately. The blogging bug has bit me though, and I am so excited to dig back in and share some of my recent favorites! This family took me out on an adventure, and I can definitely say that I have never had this much fun on a session! Beyond taking photos, we had a great time just exploring this beautiful location, and taking in a gorgeous sunset! I met Bekah (mom) through one of my photography groups last year, and I just cannot say enough nice things about her. She was one of the first real life (real life meaning not just a person I talked to on forums or Insta) photography people I had ever met. I was so nervous to meet a real life photographer for the first time, I was afraid she was going to call me on my bluff, and tell me I had no business being in the photography community. I tend to overthink things, and catastrophize…obviously. Instead she was, and has continued to be very welcoming, helpful, genuine, and just an awesome person to be around. 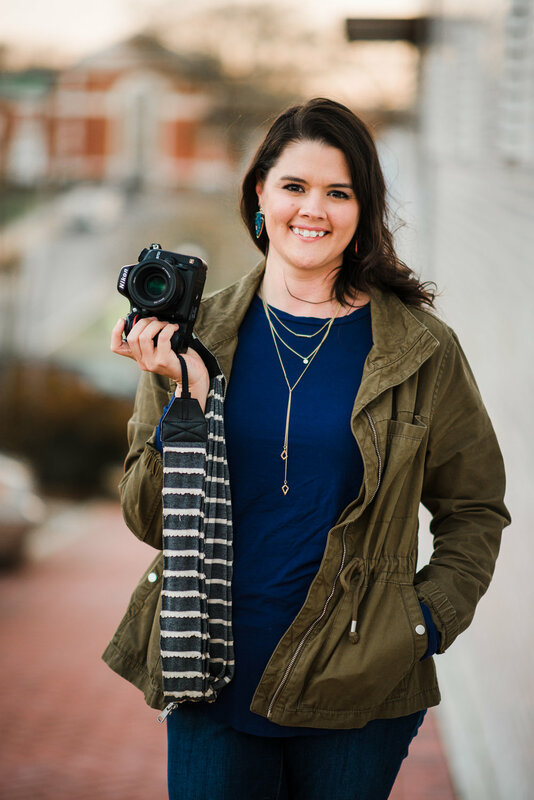 She has truly made this journey in to the photography business a little easier, and more pleasant to navigate! Not to mention, she is also an amazing senior photographer, and she also did the amazing head shots you see here on my website! Anywho, I was so excited when she asked me to take her family’s photos. We took a trip to Arabia Mountain, which is just outside of Atlanta. It’s an amazing spot with views unlike any other in Georgia. It actually reminds me a lot of where I grew up out west. It’s a short, and easy hike up to the top and the views are amazing at sunset! It’s definitely on my top list of places to shoot in Atlanta. If you are interested in booking your own family sunset session, contact me below! 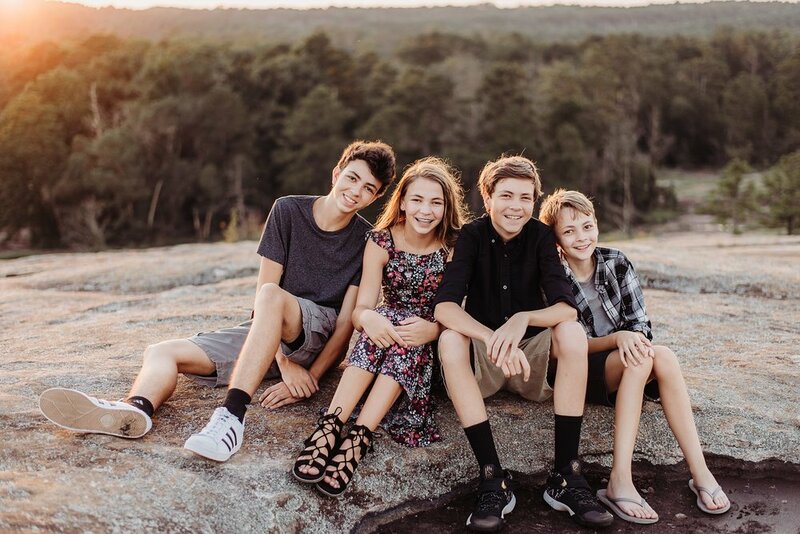 My family sessions are meant to be fun, laid-back, and showcase the love and connection you share with you family! I had the pleasure of meeting this sweet couple this fall. They came out for a quick mini session with their puppy for some fall pictures for their Christmas card. I am so happy I had the chance to work with such a great couple, and I just LOVE when clients bring their puppies to their sessions! They rescued this cute little Italian Greyhound, Arlo, from a family that was not able to keep him, and they are just smitten with him!